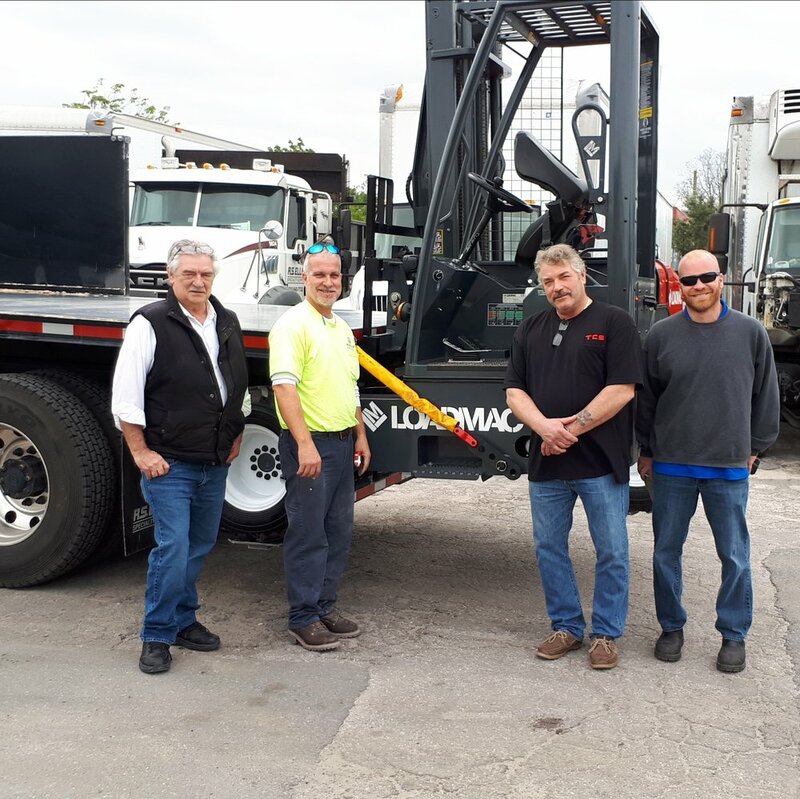 Loadmac Managing Director, Mark Hignett, has just returned from a busy few days meeting with new dealers and customers in the USA, alongside our Loadmac dealer for the States, Truck Crane International (TCI). Paul Frailey (second from the right), President of TCI, has embraced the Loadmac 825 as if it were his own machine. Paul has instantly recognised the superior performance of the Loadmac compared to Moffett, Princeton and Navigator, as a lighter and more compact machine and still with “go anywhere” all wheel drive and 5500lb (2.5t) lift capacity.